Rep. Adam Schiff (D., Calif.) is chairman of the House Intelligence Committee, which means he gets to appear on cable news a lot, and is a recurring character in the fan-fiction fever dreams of the Anti-Drumpf Resistance. "The first was a post-Holocaust story called ‘Remnant.’ " As Schiff recalled, "I had an agent at William Morris tell me it was good but no one would want to see it—too depressing. Then ‘Schindler’s List’ came out, and I was, like, ‘Come on!’ " His next, written when he was a prosecutor, was a murder mystery called "Minotaur." "I had a friend who was a producer, and he said there were two answers in Hollywood—‘Yes,’ and ‘Here’s a check.’ I was getting lots of yeses." But perhaps there is hope for his third. "It’s a spy drama," he said. "That one is a work in progress." Schiff will presumably be pretty busy investigating the Trump administration and appearing on CNN, but let's hope he finds the time to finish that spy drama. In the meantime, here are a few other ideas to keep his creative juices flowing. The congressman could start by teaming up with CNN celebrity journalist Jim Acosta to bring his forthcoming bestseller—"The Enemy of the People: A Dangerous Time to Tell the Truth in America"—to the big screen. 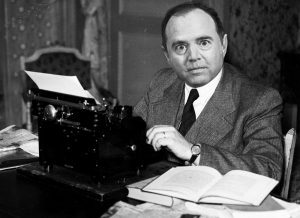 Given the subject matter, Schiff should have no problem pumping the script full of high-octane suspense. The moment our protagonist learns the bullies in the White House press office tried to ban cameras in the briefing room. Or the time they tried to take his press pass and he fought back with a vengeance. Or the time Stephen Miller blanked him in the hallway, or whatever. Skinny Jonah Hill as Don Jr. In the not-too-distant future, the former United States is a smoldering shambles, ruled by an authoritarian neo-Soviet regime. Adonis Swift (Idris Elba) was a congressman dedicated to finding the truth, stymied only by his beguiling charm and devastatingly handsome exterior. Ladies loved him. He loved the ladies, but loving them with all the passion they deserved took time, and distracted him from his work. Swift was on the brink of an explosive discovery when the mayhem began. Forced from office in the "Great Purge," he would have to start again from scratch. He becomes of rogue spy, a leader of the underground resistance. A chance encounter with Gemma Costa (Emily Blunt) brings back a flood of memories. She'd been his lover, obviously. He'd been her most trusted source on Capitol Hill. But wait, hadn't she been rounded up with all the other journalists and sent to languish at Guantanamov Bay? Had she really escaped? Or did they let her out to spy on the regime's enemies? Gemma loved the congressman, but has always suspected he might have been the one who sold her out to the authorities. They'd have to trust each other, and they're going to need some help, so they decide to team up with Mack and Maury Knifebrick (Zac Efron / Zac Efron), twin activists who are more clever than their chiseled bods and frat bro antics might suggest. Prominent gun-control activists and social media influencers, the Knifebrick brothers are ideologically committed to the cause, but refuse to use firearms or other "military style" weapons to achieve their goals. This leads to some pretty amusing hijinx! Will our heroes prevail? Head to the nearest box office to find out! Here's another idea. It's just a poster for now, but there's gotta to be story in it somewhere.